Are you really a church or are you a social activist coalition? Many churches would proudly say both, and so do we. A church is a place of refuge for its congregation and is also protected by the first amendment. We aim to protect our parishioners and grow an alliance with like minded organizations and churches that share our goal of creating a fair and just society. Are Aliens really going to come and save us? Our religion doesn't deal with aliens, mythical creatures, or alternate dimensions. Justice. Most religions, including Christianity, Judaism, and the Muslim faith believe Justice is a requirement for religious service. 'All peoples are created equally' is not just a slogan, but it is our core belief. We believe that some people were not born to press the shirts, clean the houses, and raise the children for other people, but ALL people deserve an equal opportunity to Health Care, Education, Employment, safety, and a good quality of life. In a country where 80% of wealthy people have a college degree by 26, and only 9% of those below the poverty line do the same, we do not believe Equality has a chance, and it is our religious requirement to change this. Equality. In the United States today 10% of the population owns 80% of the wealth; not only do we see this as an affront to our principles, we believe this structure cannot stand without the suffering of many and the destruction of land and community and we feel it is our duty to stop this. Community. To live a happy, healthy, productive life, one cannot do it alone. Too many worship to the church of GREED, thinking only of themselves as they steal away all the money and resources from the rest of us. We believe that there is power, safety, and hope in community. Believing that helping others succeed is succeeding in your own right, we believe that working together is the path to our 100 YEAR PLAN. What is the 100 Year Plan? 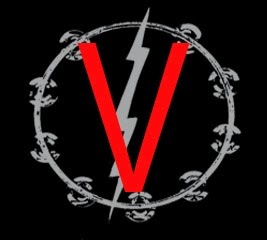 From a sociological standpoint a revolution is a complete change in the social structure. In this sense, yes we do want a revolution. We believe that our society is fundamentally stacked in favor of a select few at the expense of many. We seek to create a world that has equal opportunities for all, including education, work, representation, and quality of life. Like the Bielski Otriad, Guardian Angels, or S1WS we believe the security forces and federal government do not hold our interests, and instead of keeping us safe we are being forced into economic slavery, imprisoned unjustly, and basically policed instead of being helped. If we can't depend on local and federal security, we must depend on ourselves to keep our communities safe. 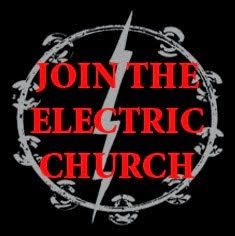 Many people feel helpless and have nowhere to turn to about abuses at work or home, but the Electric Church community feels if someone is in danger, we are all in danger. The Nighthawks are able members of the community who volunteer to help those in need, and keep members safe. Is my life worth the suffering of 50 people? To quantify that in actual lives, 50 people living 10% less, equals 5 complete lives lost. 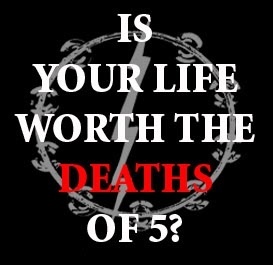 Our campaign "Is your life worth the DEATHS of 5?" 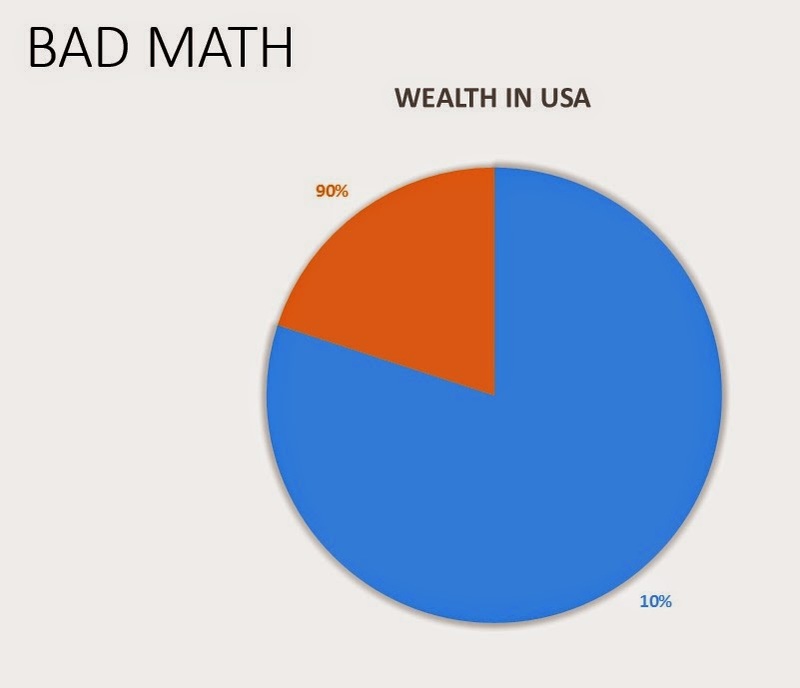 is not meant to be exact science, but a simple reminder that in order for 10% of the population to own 80% of the wealth, many of us live harder shortened lives. This doesn't add up and should never be acceptable. If you asked a wealthy person if they would continue to live luxurious lives if they had to murder 5 people, would they say yes? Of course this is a hypothetical question, but it is meant to remind people that many people suffer while others live longer healthier lives. Do you really NOT believe in Titles and Uniforms? We believe titles and uniforms do exist, and we believe it is a problem. We believe judging others by title and clothing creates gaps in society. We do not call people with doctorates 'Dr. so-and-so', if they can call us by our first name, than we can call them by their first name. Education is a privilege in this country, not a right, therefore just because someone had the privilege to go to school, doesn't earn them special status. The same goes for uniforms, uniforms are a way for society to rank our status. Low level employees wear blue, managers wear white, and so on. No thanks. If you cannot afford a suit, is it fair that you are judged in an interview that you are not wearing a suit? We are firmly against Assimilation. If people in power force us to wear 'their' type of clothes maybe we will aspire to more like them? Assimilation of native people was government law, forcing native Americans to adopt European lifestyles, and practicing their religious and cultural customs became illegal. We believe Assimilation to be a forceful way to keep some members of society down while propping up others. Therefore we do not use formal titles, and do not abide by uniforms. If a workplace or institution requires a member to wear a uniform or specific style of clothing this is infringing on that member's religious obligation. Of course if a member legitimately likes to wear certain types of clothes he or she should wear what ever seems best, as long as it is his/her choice and no one else's, as another of our core beliefs is that no one else has say over our bodies. If you believe we all have the right to make our own decisions about our bodies does that mean you think it is ok for us to destroy our bodies with drugs, alcohol, and other destructive means? We do Believe that only you should be allowed to make decisions about your body, and not the government, corporations, or religions. Pharmacists refusing to give women their birth control prescriptions is not only wrong, but it is violation of our religious freedoms under the first amendment. This also applies to members who identify as LBGTQ. This is their right and businesses or laws discriminating against these members is in violation of their religious freedoms. You are in control of your body and mind, not your employer, not anyone else. Anyone demanding bodily samples is against your religious freedoms. That being said, our religion believes that in order to make a fair and just society we all must be able to help our community and those in need. Although it is ultimately your choice, being under the influence of drugs and alcohol greatly reduces your chances to aptly aide in your community. When others depend on you, being physically fit and clear minded allow for you to be at your best for your community. When we die we leave behind a world to future generations and it is up to us to make that world as healthy, just, and peaceful as possible. What are your burial rites? Since we believe that only you have a say what happens to your body, our burial rites are only a guideline, as it is ultimately up to you, but we also believe that people are just one aspect of life on earth, so our burials should have the least impact on the earth as possible. Our guidelines ask for bodies to buried without embalming chemicals in a wooden/biodegradable receptacle with a simple shroud, therefore after death we can continue to help by minimizing contamination and possibly giving nourishment to the surrounding area. Many members ask to be buried with a wooden tambourine. Is the church only within the USA? The church was founded in the Smoketown neighborhood of Louisville, KY, USA; but it's teachings and visions are not limited to any border or nation. For information on congregations in your area please contact us.